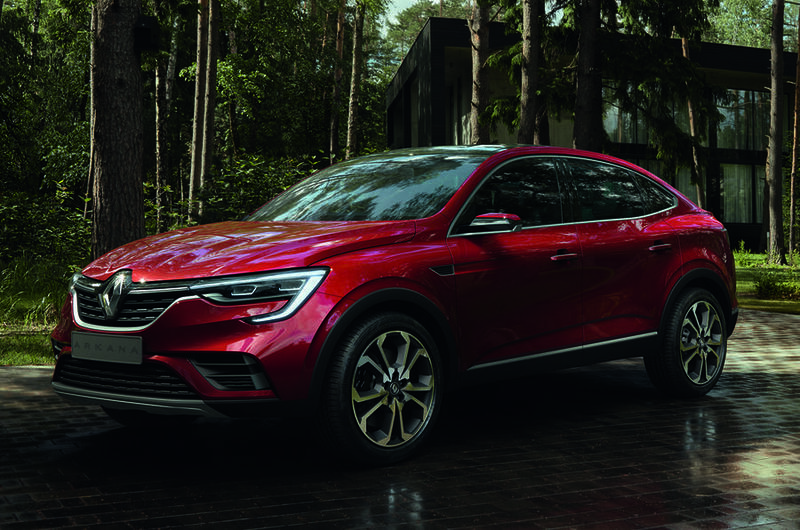 Arkana, a brand new cross-over model has been launched by Renault at the Moscow motor show, designed to combine design traits of both saloons and SUVs. Carrying the latest version of Renault’s front design, including full LED headlights. At the rear are twin aluminium, while the rear lights feature a full width LED strip underneath a pronounced lip on the swooping hatchback. The show car sits on 19-inch wheels with high ground clearance. 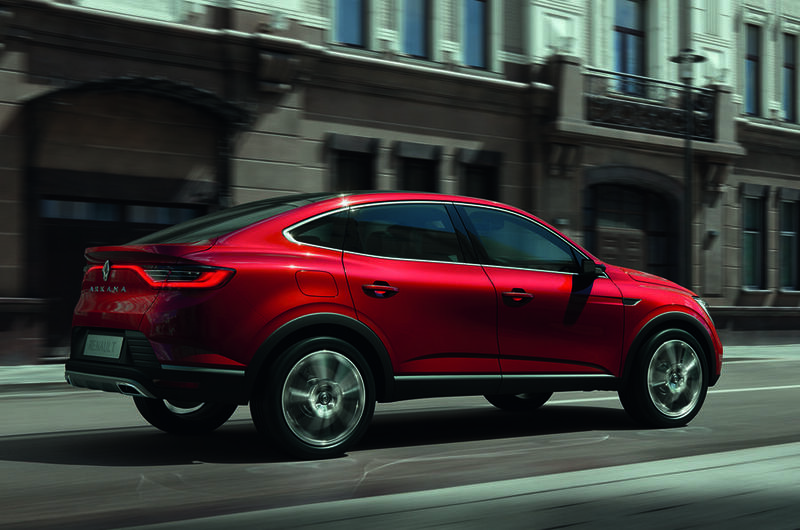 No details on specific powertrains were given, although they will include one that is new to the Russian market. 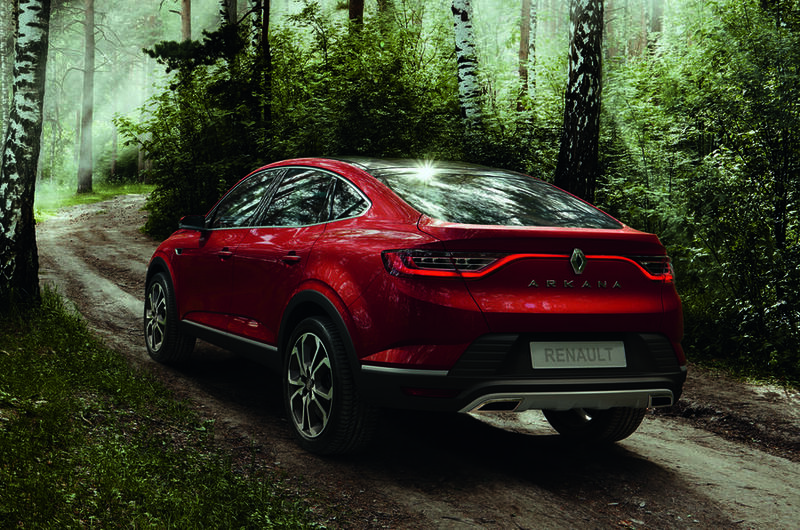 The Arkana will be offered with four-wheel-drive, and Renault says it will offer “excellent all-terrain capabilities”. It is understood that currently there are no plans to bring it to the UK or Europe. Arkana will be built at Renault’s Moscow factory and has been conceived as the French firm’s new flagship model in Russia, where it will go on sale next year. It will then expand to other ‘global’ markets, beginning with Asia. 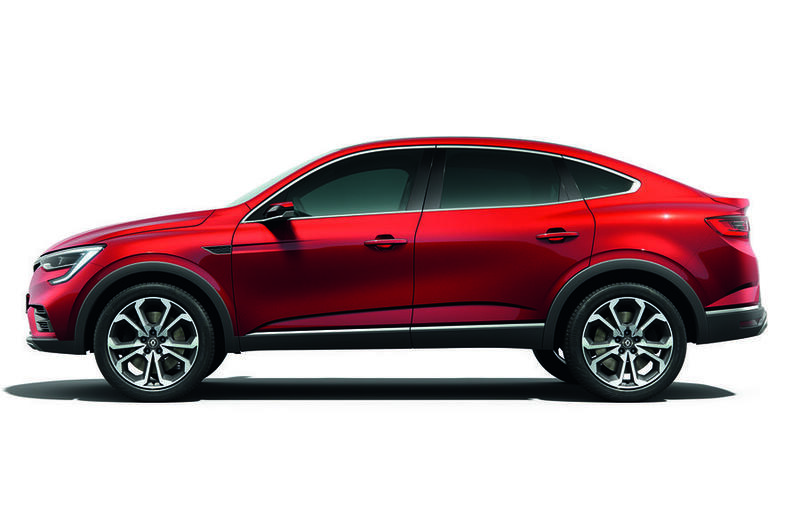 The Arkana is built on a reworked version of the BO platform used for the Dacia Duster and the Kaptur, a slightly larger version of the Captur for the Russian market.